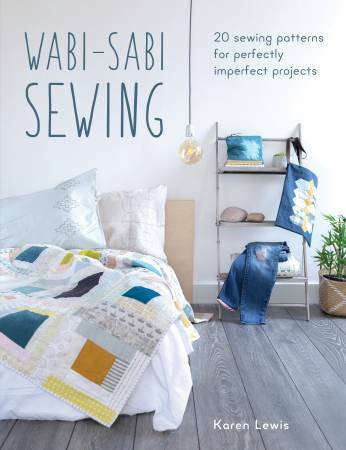 Try out some simple wabi-sabi style sewing techniques such as hand hand piecing, sashiko embroidery, big stitch quilting, and visible mending to create unique items for your home whether it's a full sized bed quilt, simple coasters for your favorite mug or a stunning scarf to wrap up in. Karen Lewis is quilt designer and tutor, a fabric designer for Robert Kaufman and an author--her previous title, Screen Printing at Home, was published in 2013. Karen travels widely to attend quilt shows and teach. She runs workshops at Quilt Con each year and regularly attends the Festival of Quilts in the UK. Karen is one of the founders of quilt retreat and pattern company, The Thread House, which she set up with two other prominent British quilt designers in 2016.